Speaking of Kusama, the international premiere status of her latest (Destroyer, with Nicole Kidman) indicates that it will likely screen at Telluride the weekend prior; excited for this, as I was one of the supporters of The Invitation. Where on earth is Pedro Costa’s latest? I’d think any given festival would be jumping at the chance to premiere it. As a huge proponent of The Duke of Burgundy, I can't believe I overlooked at first that Peter Strickland's In Fabric has its world premiere in the Midnight Madness section at Toronto. Extremely excited for this, and hope it picks up US distribution ASAP. There's some talk that he's actually gone back to shoot more stuff ruling out any 2018 premiere. Take with a grain of salt as this is from twitter. Just searching Twitter during the festival, I saw a lot of effusive praise for La flor and Ray & Liz, which has a fantastic trailer. If I were attending the NYFF, I would just go all-in on La flor, which seemed to receive a lot of best-of-festival notices without the viewer even finishing it. At this point, despite seeing tons of esoterica from fairly obscure directors, it's mildly embarrassing that I haven't seen anything by Hong. I suppose his filmography is vast that one doesn't know how to penetrate it. I'll just rent The Day He Arrives from the library. Best Actress: Andra Guti, Alice T.
The Power of Kangwon Province is also a good starting point and streaming on Amazon. In general I find him as someone who works best in chronological order as much as availability permits. With the recent release of the Arrow set that is getting a bit easier, though On the Occasion of Remembering the Turning Gate and Virgin Stripped Bare By Her Bachelors still seem difficult to track down. Last edited by colinr0380 on Tue Aug 14, 2018 4:05 pm, edited 1 time in total. New TIFF announcements include new films by David Mackenzie, Paul Greengrass, Paolo Sorrentino, Joel Edgerton, Louis Garrel, Sebastian Lelio, Thomas Vinterberg, Jeremy Saulnier, Florian Henckel von Donnersmarck, and Naomi Kawase, among many others. Tree of Life [extended cut] (Malick) - Due to being scheduled later in the Venice lineup and the delay of the Criterion release, if Telluride plays this it would be the World Premiere of this new version. Radegund (Malick) - If he appears with Tree of Life, maybe he'll bring his new one? Ad Astra (Gray) - I still think this will end up opening in 2018, and if the distributor has any hope of awards buzz they'll want it to play a festival before a December/January platform release. The House That Jack Built (Von Trier) - Hasn't been announced at any other fall festival after the notorious Cannes screening, and Lars isn't a big traveler, but I've still got enough of a mix of dread and anticipation for this one to hope it shows up. Mary, Queen of Scots (Rourke) - Starting to think the distributor has no faith in this, as it's been kept out of every other festival despite seeming to have two prime acting candidates in Ronan and Robbie. The Man Who Killed Don Quixote (Gilliam) - Who knows? How is IFC with fall festivals in general? Melancholia played the Philadelphia Film Festival, but that was Magnolia, I think? Von Trier was, of course, not in attendance. I do wonder when this thing is gonna see the light of day. I know of one fall festival in the U.S. that will be showing the von Trier, but it's possible someone else will be doing the U.S./North American premiere. IFC used to have a much bigger presence at Telluride in particular, but they still usually bring 1-3 titles even now that the bigger studios have more of a presence as the festival has grown in awards prominence. House that Jack Built releases 12/28, per EW Fall Preview. Non-Fiction is at the major festivals this Fall. Old news but I guess Cold War will be getting some U.S. distribution late December? Really hope it makes it to my neck of the woods as I am dying to see it. Ida has to be a top 10 film of the decade so far for me. So excited for the reports out of Venice this year. Moreso than I was for Cannes. The redesign on their site is also less than stellar, to say the least... I know some people who I'm sure could have produced some better work in exchange for a pass or two. Pic of Kidman's character and a story with interview bits in Vanity Fair. Sounds pretty great. Can't wait to see some footage. 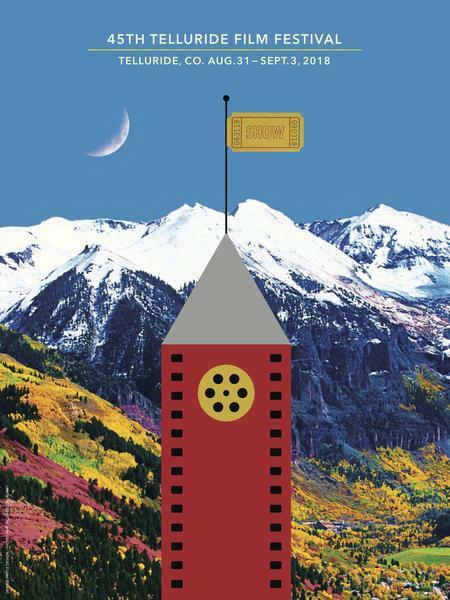 The 45th Telluride Film Festival has released its program; I've bolded some of those that are my main priorities to catch below, but I'm open to suggestion if anyone can point me to something I'm overlooking. The actual schedule hasn't been released yet, so I'm sure I'll get timed out of a handful of films I'm interested in (I can probably get to 17-20 total), but as of now hope springs eternal. I'm totally unfamiliar with the revival slate (though I'm sure some have been covered in the recent decades list projects), so any input there would be especially welcome! Those are also of note as the festival has close ties with Criterion/Janus/Filmstruck, so there may be some connection between restorations there and future releases. I'm totally with you on your boldeds but also would be interested in that Welles documentary, though I suppose that will be on Netflix at some point.